On the south-eastern tip of a land far, far away, stands an unassuming hut. With its pointy roof and well-worn wooden slats nailed in seemingly random directions, Mawson’s Huts looks like a million other Aussie sheds, seemingly put together as if by haste. If it were anywhere but Antarctica, you may not give it a second glance. But it is in Antarctica. It is over 100 years old and it is the only surviving link to Australia’s initial exploration of our planet’s southernmost frozen landmass. 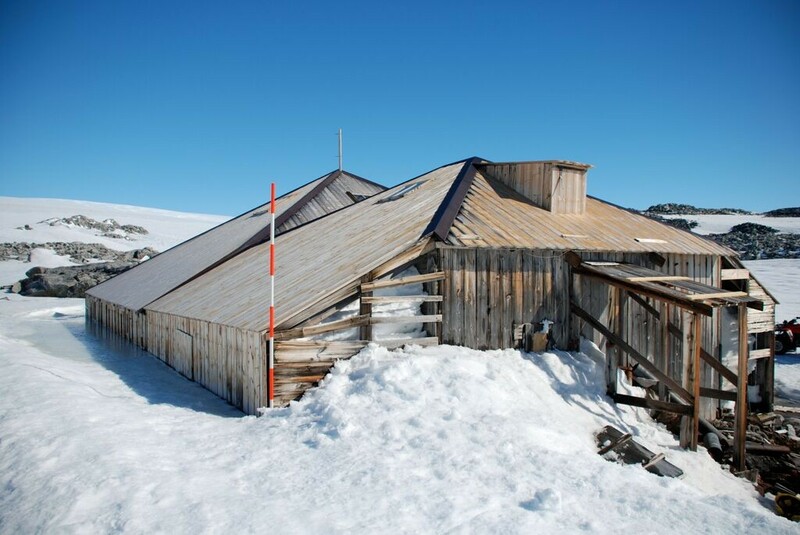 Chimu Adventures are proud to support and sponsor the Mawson’s Huts Foundation, whose aim it is to preserve Mawson’s Huts, a collection of heritage listed buildings which were constructed – on the southeasternmost point of the Australian Antarctic Territory – for the 1911 expedition led by Sir Douglas Mawson. Established in 1997, and based in Sydney, the foundation has so far organized a dozen expeditions to Cape Denison, home of the ‘huts’, where vital restoration work is carried out to help preserve these historic buildings for posterity. 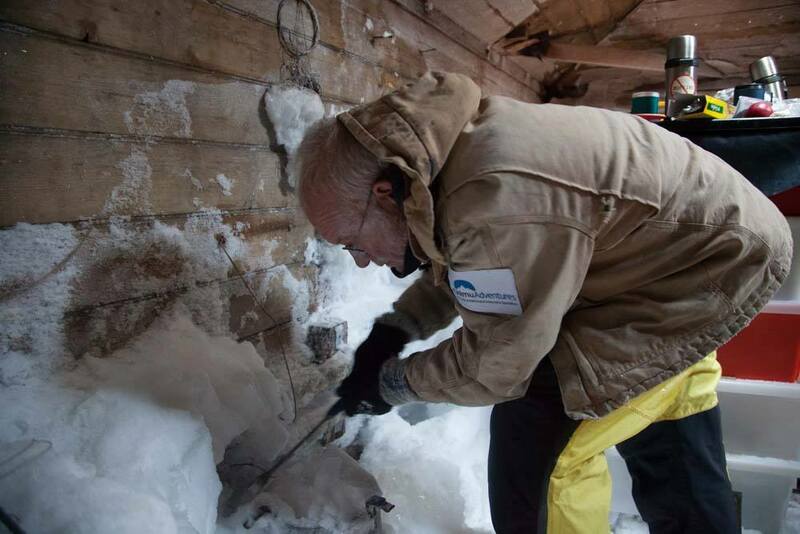 With a dedicated team of architects and heritage experts, the Mawson’s Huts Foundation has, in partnership with the Australian Antarctic Division, guaranteed the survival of this incredible piece of Australia’s history, ensuring that the dedicated work of Mawson and his crew be forever remembered and celebrated. The foundation has now funded and organised 11 major expeditions and raised in excess of 8 million dollars in cash and in kind support. The drive for funds continues to fund the conservation works. As passionate as we are about Antarctica, we could not be more chuffed about teaming up with such a worthy cause! The work carried out is incredible, the dedication unrivalled and the importance of these missions paramount. Wanna join us? You can! Become a member of the Mawson’s Huts Foundation and we’ll nail a wooden slat in your honour, pick away at a chunk of ice in your name and, perhaps, raise a glass of schnapps and think warm thoughts of you at the end of a hard day’s work. We’d be ever so grateful for your contribution to such an amazing cause. In the next few weeks we’ll be introducing you to Mawson, the amazing feats he achieved in such an inhospitable place, and keep you updated with the latest news from the current 2015-16 restoration expedition. Suffering from our current heatwave? Then spare a thought for our friends currently at Cape Denison working hard, keep an eye on our blogs and check out the amazing photos to be posted on our Facebook page. That’ll surely have an incredibly refreshing effect on you! 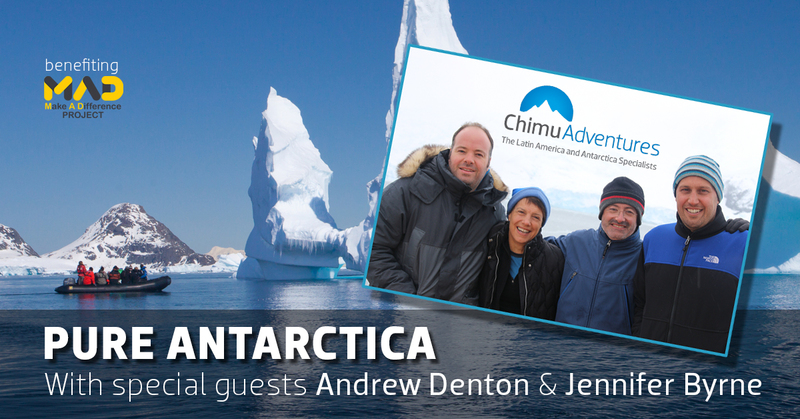 Meanwhile you may consider joining us us on PURE Antarctica with Andrew Denton and Jennifer Byrne, an amazing expedition benefiting The M.A.D. Project which raises funds for several projects including Mawson’s Huts.